In December, Amazon launched its Prime Video service to Canadians. After a long wait, Canadians can finally enjoy some of the titles exclusive to the Amazon Prime platform. Shows such as The Man In The High Castle, or sitcoms like Community are available now, with the click of a button. 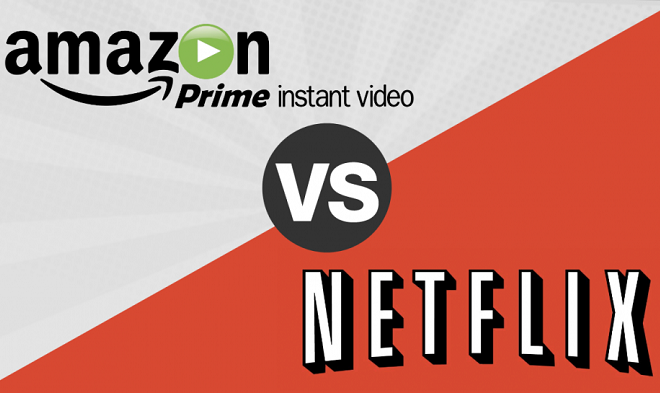 It is a service that is very much like Netflix, and that begs the question, how does Amazon Prime compare to Netflix? Let's take a closer look before we decide. As far as price goes, Amazon Prime is $79 per year in Canada. That’s about $6.50 per month and it allows you to stream on up to two devices at a time in Ultra HD. There is no option to upgrade your account to allow more simultaneous streaming devices. Netflix, on the other hand, at its base price is $7.99 per month. For this price you do not have access to HD and you can only stream on one device at a time. However, with Netflix, you do have the option to upgrade your account. For $8.99 a month, you get access to HD streaming, plus, you can stream on up to two devices at a time. For $11.99 a month you get access to Ultra HD (the best resolution they offer) and you can stream on up to four devices at once. However, with Prime, you get value-added extras. You have access to free two-day shipping on many products sold by Amazon. You also have early access to deals exclusive to Prime members, as well as photo storage, and ad-free Twitch streaming. And you can watch an unlimited amount of Prime Video content, including Amazon original shows. Netflix, on the flipside, offers way more content than Prime. Amazon has come out and announced that many more titles will be added in the New Year. Another consideration is that no matter how many titles each service has, it’s going to come down to what content you want to watch. If you miss the old Top Gear show from the UK, you might opt for Prime as they have relaunched the same format show, with the same cast as The Grand Tour. If you’re really into the Netflix originals like Stranger Things and the new, highly-acclaimed The OA, then you’re going to opt for Netflix. In short, no matter what the prices are or the perks, it’s probably going to come down to your personal watching preferences. Amazon Prime definitely seems like the better deal, though, when you knock it right down to dollars and cents. Which do you think is better? Netflix or Amazon Prime? Let us know in the comments!